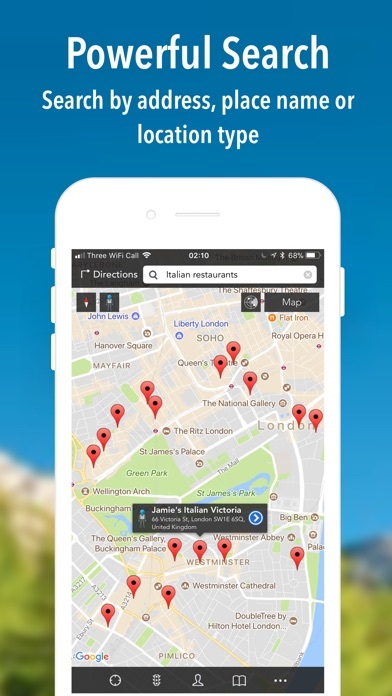 - Just tap on any of the places of interest on the map for more details, or to access street view. 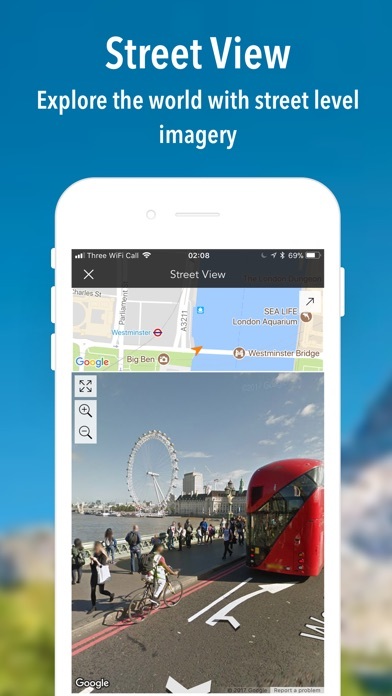 - Street view can also be accessed from a dropped pin, search result or bookmarked location. Alternatively, drag the peg-man from the top left of the screen as on Google Maps on a desktop. - Map details are cached once viewed, browse them again even when you don't have an internet connection - perfect for travelling! 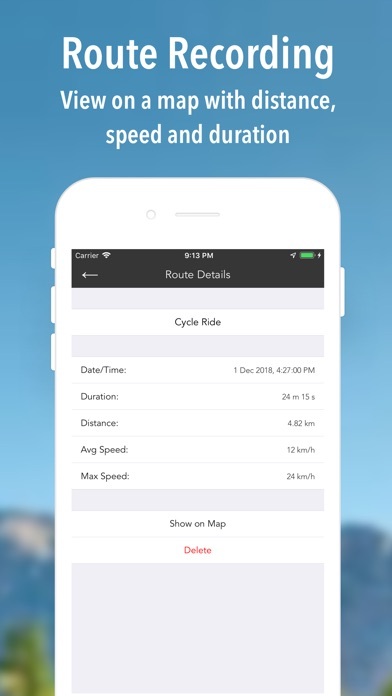 - Get step by step driving, cycling, walking and public transport directions. Choose to avoid highways or tolls and select from a number of alternative routes. For public transport, you also have the option of setting an arrival/departure time. 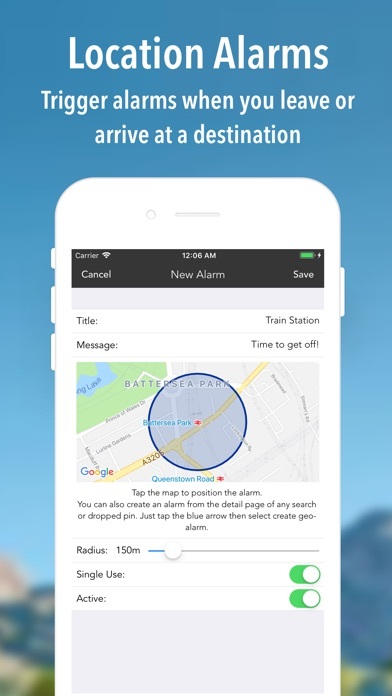 - Set up notifications to fire when you arrive at a specific location. 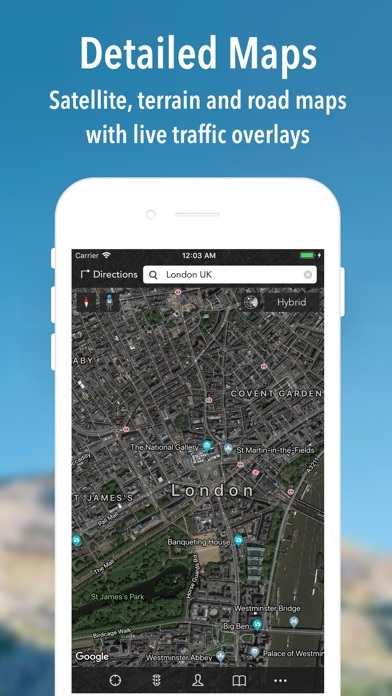 - Swipe up and down with two fingers to tilt the map and access 3D views in main cities around the world. 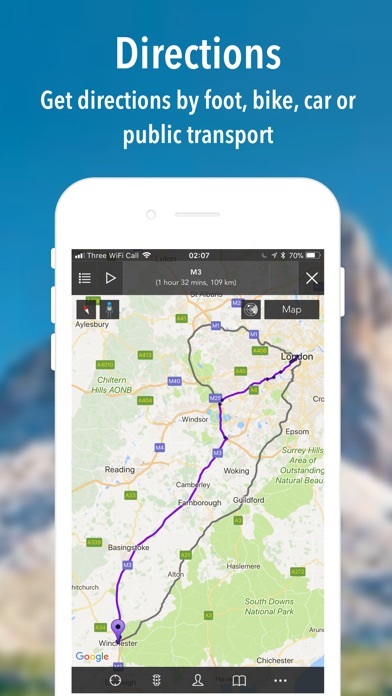 - Map overlays including live traffic, public transport lines and indoor maps. 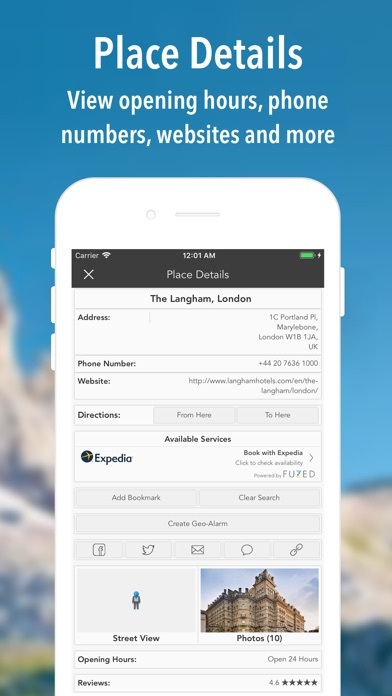 - Use addresses from your iPhone contacts for search and directions. - Press and hold to drop a pin anywhere on the map. - Bookmark important locations for quick access. - Directions and search in English, French, Portuguese, Italian, German, Spanish, Chinese, Japanese, Arabic, Russian, Korean, Hindi and more. Subscriptions: iMaps+ operates as a subscription service. Recurring purchase is required for full functionality. Payment will be charged to your iTunes Account at confirmation of purchase. Subscriptions automatically renew unless auto-renew is turned off at least 24-hours before the end of the current period. Your account will be charged for renewal within 24-hours prior to the end of the current period. Subscriptions may be managed, and auto-renewal may be turned off, from iMaps+ settings or the Apple Settings app. Any unused portion of a free trial period, if offered, will be forfeited if you change your subscription term.